Dawn is a excellent cook - she is great at making her own recipes. She definitely takes after her father. He is also a excellent chef. I am a recipe cook - give me a recipe and I can make it. Ask me to invent a recipe and I am lost. I have no idea what goes with what - I do not even now what many spices taste like let alone mix them up to make a dish. Only 65 calories for 36 crackers! To make Buffalo Crackers - use Creamy Tastefully Simple Buffalo Dip mix instead of the Gorgonzola Olive Cheese Ball mix. 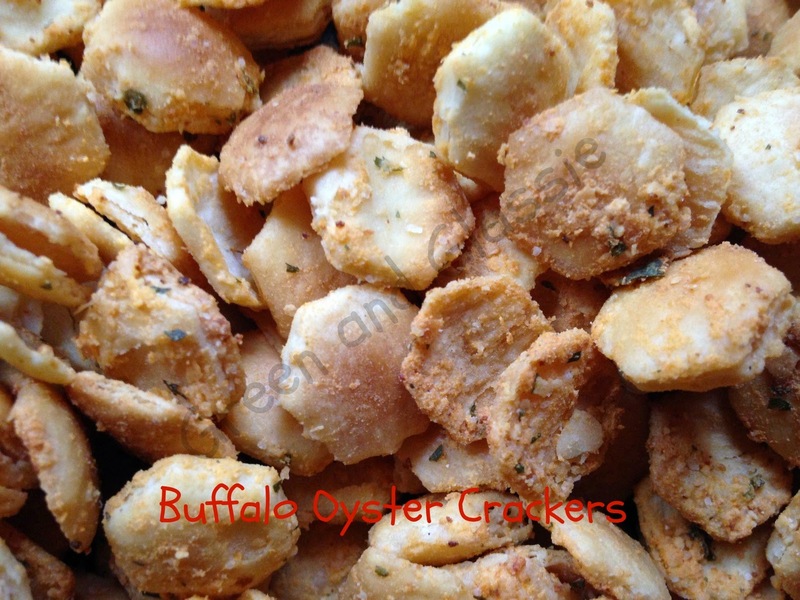 The Buffalo Oyster Crackers are spicy - my hubby's favorite! Yum! These sound tasty and I'm loving that they're only 65 calories per 36 crackers! We love Tastefully Simple products but I've never tried the Gorgonzola Olive Cheese Ball mix or Buffalo Dip mix. Oh my goodness, I love these! I want some in some hot soup now!! This sounds so tasty! My MIL makes ranch Oyster crackers and they're good too. This is such a good idea. I bet it would be great in a soup or chowder. I had never thought to flavor oyster crackers. These look so yummy! That sounds awesome! Right on top of soup this fall! I love that these oyster crackers are low in calories! What an easy treat! Thanks for the recipe! These sound like a tasty alternative to boring old oyster crackers! These would be a great snack. I will have to make a batch this weekend. I love flavored oyster crackers. These are so delicious and quite affordable. This seems like an interesting recipe. It made me wonder what other flavors could be used. I had no idea you could make flavored oyster crackers. We'll definitely have to try this! My family would gobble these up. What a fun twist on oyster crackers. I love how simple this is! Such a great way to dress up a simple and cheap product and make it perfect for parties! Only 65 calories for oyster crackers? Now, that's a sweet deal! Oh this is a great idea! i would have thought of this, love these crackers in my chili! Those look like they would go very well with a glass of white white! That looks so yummy. I don't know if I could invent my own recipe either. What a great recipe. It's like classy Chex mix. I love it! Sounds tasty. 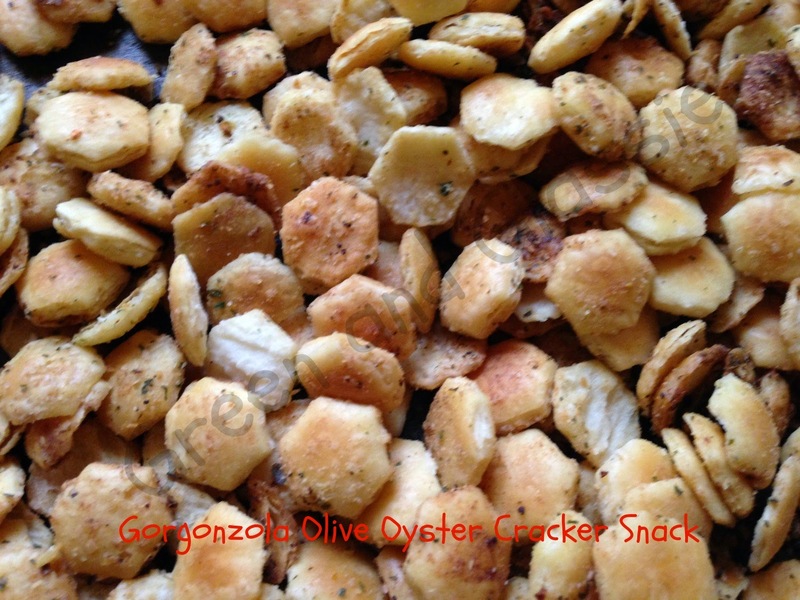 I never thought about using oyster crackers for a homemade snack. Never thought to flavor before. These sound fun! Oh yum! These are my favorite crackers for soups and just to snack on too. These look so good! I have heard of ranch crackers but these look and sound much better! We love oyster crackers! Would be nice in a soup! What a great idea to make them flavored. These are especially great with soup season about to hit full swing! These would be so good on my salads! Yum! I would love to add those to a soup or salad! I'm loving the seasoned crackers coming out everywhere. My cousins's wife gives everyone a bag flavored oysters as a gift. I look forward to it every year - so good! These look and sound really good! I love seasoned crackers and adding them to soup. These look really delicious! I would love to make these. This sounds like a yummy recipe. Thanks for sharing.